When used in this document, depending on the context, "we," "our" and "us" refers to Mazenod Old Collegians Football Club. Protecting personal information is fundamental to Mazenod Old Collegians Football Club's relationship with our supporter, members, players and business partners. All personal information received in connection with a Mazenod Old Collegians Football Club’ product or service, or in the conduct of Mazenod Old Collegians Football Club’s business, is therefore treated seriously, having regard to Mazenod Old Collegians Football Club's legal obligations. Personal information is information that identifies you or could identify you. Mazenod Old Collegians Football Club is subject to the Privacy Act 1988 (Cth), including the Australian Privacy Principles. • opinions and beliefs provided via surveys and questionnaires that you may choose to respond to. • details of the items ordered or purchased from us. We also may collect additional non-personally identifiable information (for example, browser version, IP address) that will provide information regarding the general use of our website. Where we engage with you multiple times over a short period in relation to the same matter, we may not provide you with a separate notice about privacy each time we engage with you however we will always provide you with an opportunity to opt–out of receiving communications about that matter within each of those communications..
For the avoidance of doubt, by opting–out or unsubscribing yourself from a mailing list of a product or service this will ensure your removal from that particular mailing list but will not guarantee your removal from other mailing lists that Mazenod Old Collegians Football Club may store your details in as a result of your engagement with a different service or product. In the event that you opt-out from receiving communications from Mazenod Old Collegians Football Club you will still be contacted in relation to the administration of your player registration (for example teams, change of venue etc). During the course of business, Mazenod Old Collegians Football Club may also collect personal information that is given to them by a third party (for example, the Victorian Amateur Football Association or information that is on a publicly maintained record). This information forms part of the personal information described in this policy. Mazenod Old Collegians Football Club will not intentionally solicit personal information that is unintentionally disclosed. Wherever reasonably practicable, Mazenod Old Collegians Football Club will store personal information on data servers that are located within the geographical borders of Australia. • to our third party service providers in connection with any of the above. Mazenod Old Collegians Football Club may also disclose personal information where it is otherwise permitted to do so by law. You consent to Mazenod Old Collegians Football Club using your personal Information for sending you information, including promotional material, about the Mazenod Old Collegians Football Club's products and services, as well as the products and services of third parties, now and in the future. You also consent to us sending you such information by means of direct mail, email, SMS and MMS messages. You can contact us using the contact details specified in paragraph 9 if you do not want to receive marketing information from us. • required or authorised by law, including without limitation the Australian Privacy Principles under the Privacy Act 1988 (Cth). Mazenod Old Collegians Football Club may use “cookies” on Our website. A cookie is a small text file that We may place on your computer. Usually, cookies are used as a means for our websites to remember your preferences and are thus designed to improve your experience of Our website. Cookies may collect and store personal information about you. When you visit and browse Mazenod Old Collegians Football Club's website, our website host and some third party service providers may collect information for statistical, reporting and maintenance purposes. • the path taken through our website. Mazenod Old Collegians Football Club may use website analytic services to help analyse how you use Our website. Mazenod Old Collegians Football Club's website may contain links to other websites operated by third parties. We make no representations or warranties in relation to the privacy practices of any third party website and we are not responsible for the privacy policies or the content of any third party website. Third party websites are responsible for informing you about their own privacy practices. If you are under 18, you should only use Our website with involvement of a parent or guardian. For their protection, we ask that anyone under 18 years of age does not attempt to register with us or otherwise provide us with any personal information without the consent of a parent or legal guardian. Mazenod Old Collegians Football Club will take reasonable steps to protect all personal information within their direct control from misuse, interference, loss, unauthorised access, modification or disclosure.  Mazenod Old Collegians Football Club will take reasonable steps to hold information securely in electronic or physical form in access controlled premises or in electronic databases requiring logins and passwords. by contacting the Vice President (Administration) by email at admin@mazenodfc.com.au or in writing to Mazenod Old Collegians Football Club via Mazenod Old Collegians Football Club, PO Box 744 Glen Waverley Vic 3150. You may be required to provide proof of identity in order to obtain access to your personal information. • will not affect your existing obligations or affect the commercial arrangements between you and Mazenod Old Collegians Football Club. Mazenod Old Collegians Football Club's Privacy Officer will commence an investigation into your complaint. You will be informed of the outcome of your complaint within a reasonable period of time following completion of the investigation.